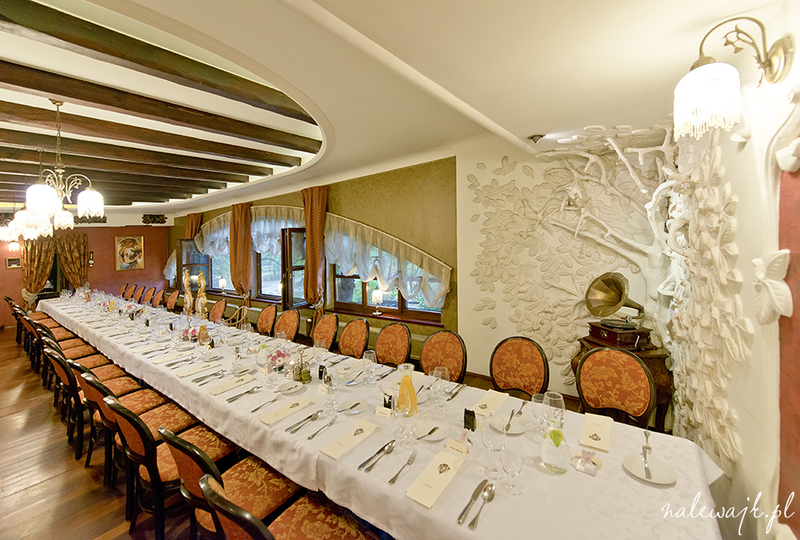 We would like to offer you a family dinner in elegant setting of our interiors. The reception begins with spectacular welcome – sparkling wine opened with the use of sabre. We guarantee professional service and exquisite cuisine. We are willing to provide you with a menu of your choice. We offer hotel’s interiors and the boat on the pond for photo session. 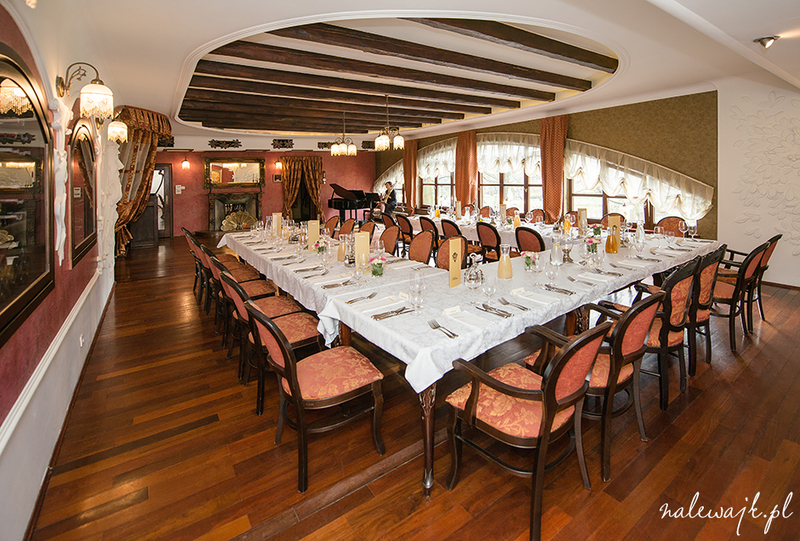 Stylish interior with piano and picturesque view over the park and the Deluge fountain. 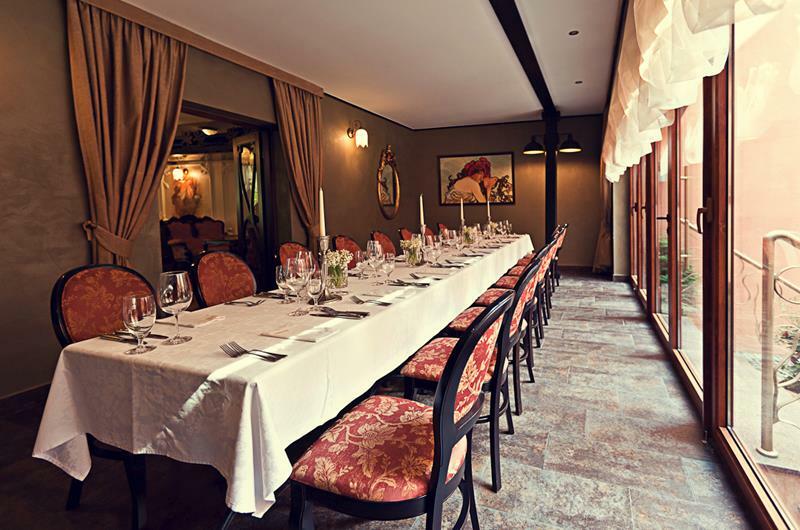 A hall situated on the ground floor of the Restaurant overlooking the fountain, with direct access to the courtyard with tables at the guests’ disposal. A spacious room located on the third floor of the Bohema Hotel, featuring a viewing terrace with tables on the roof of the Hotel. A small hall overlooking the park. Smoking allowed.